Let’s face it - the digital world made a pretty big boom as soon as it was introduced to us. There are so many brands out there now, making buying products and services easier than ever. However, it is safe to say that brand names just don’t mean as much anymore as they used to do in the physical world. In short, consumers are no longer brand loyal - and the connection between a brand and a customer is not anymore the same. People have become sensitive about how they spend their time and who they actually trust. According to a survey, it was found that around 89% of people would listen to someone’s actual review or opinion of a brand, rather than the brand itself. This situation was a breeding ground for many people who wanted to earn the trust of their followers and share real opinions about today’s products and services. They have been known under the term ‘influencers’ - and the best way to describe them is as digital ambassadors who spread the word about quality products and services. More importantly, digital ambassadors who have a wide reach and a large audience of people who trust them with every review and decision. Therefore, influencer marketing is largely based upon testimonials, social proof and real reviews from real and authentic customers. A brand is known to always push a message, which is something that people have been used to but not anymore listen to. The times have changed, and the influencers (key leaders) are the new people that both brands and customers are shifting to. Did we say brands - as well? Yes. There are a lot of brands who started taking advantage of influencer marketing for their products and services. After finding that people value people more than brands nowadays, they decided to brand the messages behind every influencer they choose - and transform influencers to brand ambassadors. 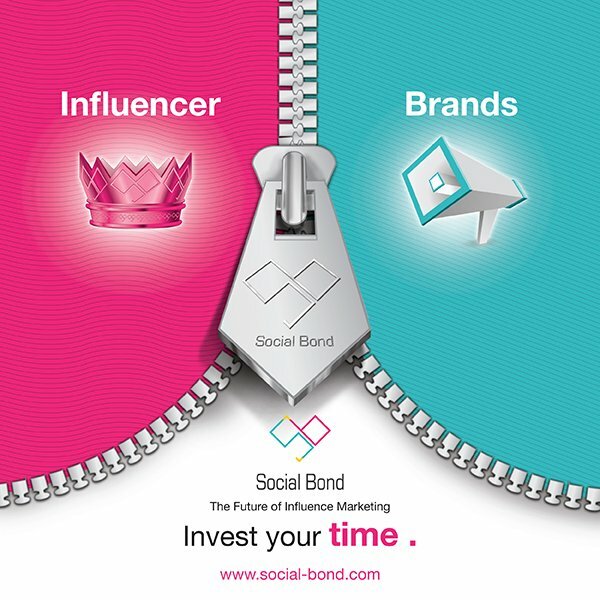 If you think finding an influencer and transforming him into your brand ambassador is difficult - have you ever heard of Social Bond? Basically, Social Bond is the all new influencer Marketing Platform base where you can aim for bigger targets, have bigger dreams and get more customers. All it takes is to sign up to the platform and see the active and popular influencers and all merchants with whom they are affiliated. On top of that, you can use these influencers as the most unique brand ambassadors that you need, reach out to a wide audience and achieve your targets! And the best part? Social Bond makes tracking your influencer campaigns - and the amazing results they bring - amazingly easy. Join our network today, find your influencer(s) and start making most of your products and services online!